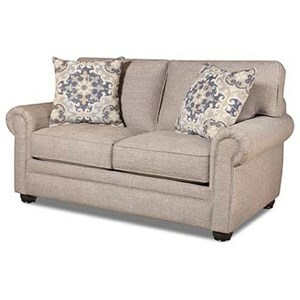 This stationary loveseat features a loose pillow back and a plush foam seat, making this piece comfortable and supportive. 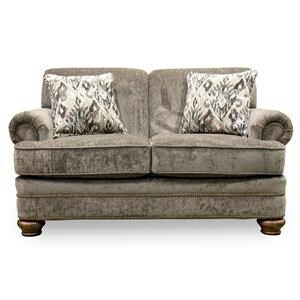 The exposed wood legs and optional nail head trim gives this loveseat a stylish appearance. This piece is available in other multiple special order colors. 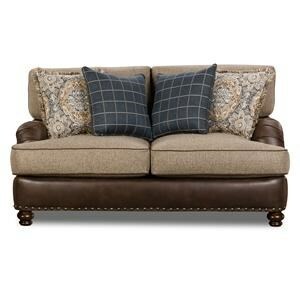 The Hanson Stone Loveseat by Mayo at Great American Home Store in the Memphis, TN, Southaven, MS area. Product availability may vary. Contact us for the most current availability on this product. Frame Construction The best frames in the business. All hardwood parts are precision cut utilizing CNC routing technology. Frames also feature mortise and tenon joints that interlock for extra strength. Seat Support Mayo’s high quality sinuous seat spring construction method. 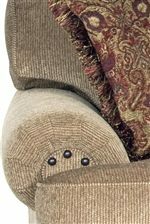 Padding & Ergonomics Back pillows or seat backs are foam on top (high density 2.3lbs per cubic foot) Silicon coated polyester blown in top and bottom prevent any setting of polyester. Arms have heavy foam on top then rapped with polyester batting and more foam. Warranty Limited lifetime warranty on frame, springing systems and seat cushion foam. Limited 5 year warranty on sleep sofa, motion chair, sleep sofa innerspring mattresses and other metal mechanisms. 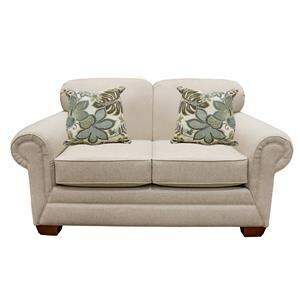 Limited 1 year warranty on upholstery fabric, leather, tailoring and other considerations. 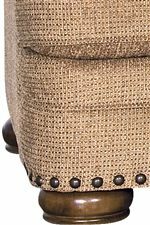 Today’s consumers see their home furnishings as part of their personal expression. 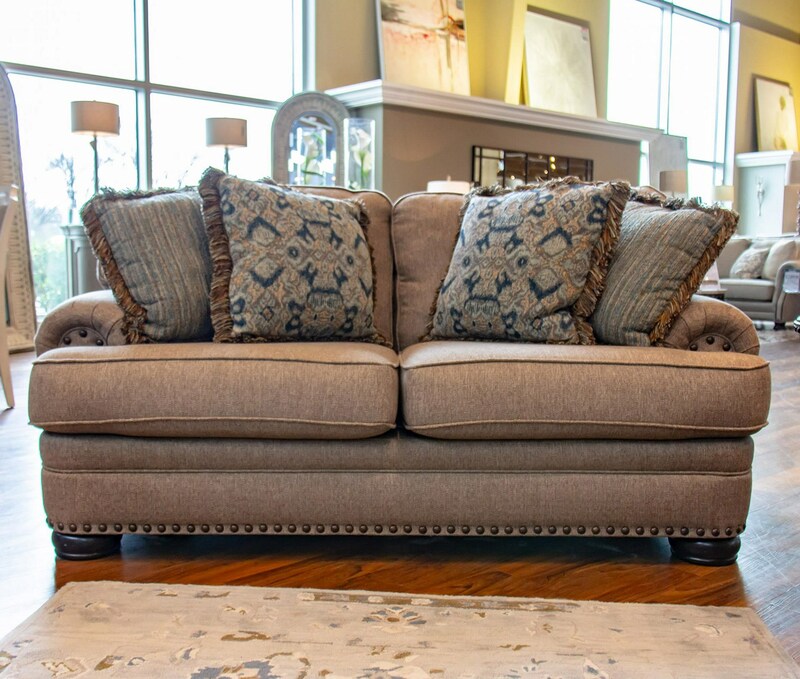 Mayo’s product line includes selections in transitional, traditional, contemporary, and casual lifestyles. 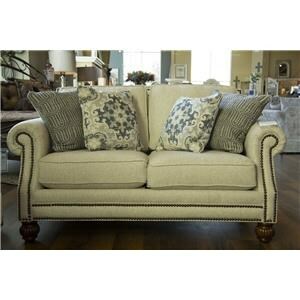 Fabrics are selected from the world’s leading fabric mills. Leathers are imported from some of the world’s most prestigious tanneries. Comfort, fashion, and durability are built into every piece Mayo produces. The 3620 collection is also available in multiple custom colors. 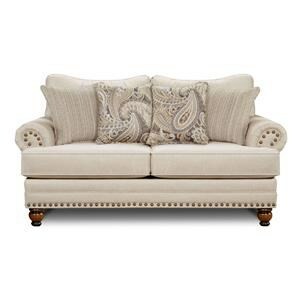 This collection also features a loveseat (not shown), chair, and ottoman in multiple custom colors. 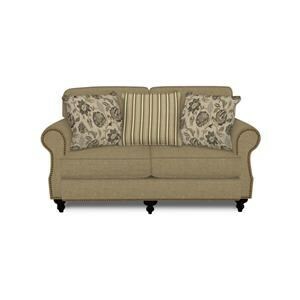 The Hanson Stone collection is a great option if you are looking for Traditional furniture in the Memphis, TN, Southaven, MS area. 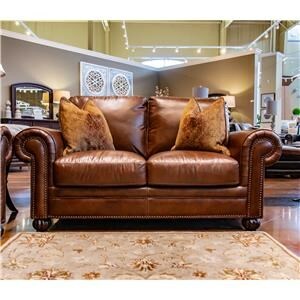 Browse other items in the Hanson Stone collection from Great American Home Store in the Memphis, TN, Southaven, MS area.